Nothing keeps a vehicle running smoothly like a regular Oil Change. And nowhere is there a more reliable source of top brand names in parts and fluids for scheduled maintenance than at Burke, VA’s Wiygul Automotive Clinic. The essential ingredient for a well-functioning, healthy car is an oil change. Oil changes include adding new oil to the vehicle, as well as a new oil filter and fluid check. A general rule of thumb to practice is to change the car’s oil every 3,000 miles, but it’s best to follow your vehicle manufacturer’s recommendations for how often to change the oil. Regular oil changes save money in the long run, as changing the oil in your car (according to manufacturer and service recommendations) leads to a longer engine life. Understanding the process and benefits of a regular oil change can educate owners on the value of an oil change. A vehicle’s oil picks up dirt, carbon deposits and metal particles from the vehicle’s engine and is then passed throughout the oil filter. The impurities collected settle in the oil pan. If the vehicle’s oil is not routinely changed, waste that builds up in the oil pan can make the engine run hotter than normal. It is then apt to lose its natural thickness or viscosity, and its ability to lubricate the engine. Without the lubrication aspect of the oil available to do its job, the engine will begin to wear substantially. Regular oil changes in Burke, VA are necessary to keep your engine running well. Without regular oil changes, the engine can face loss of performance and fuel economy, as well as increased emissions and oil consumption. To keep car engines running at optimal levels, Wiygul Automotive Clinic recommends bringing vehicles in for routine oil changes. They are an AAA-approved center for auto repair and maintenance. Since 1996, Wiygul Automotive Clinic has been providing the Burke, VA area with affordable, reliable auto care. 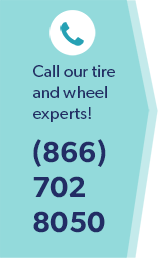 Burke offers a variety of services including routine maintenance such as oil changes and brake repairs, as well as tire care and installation.